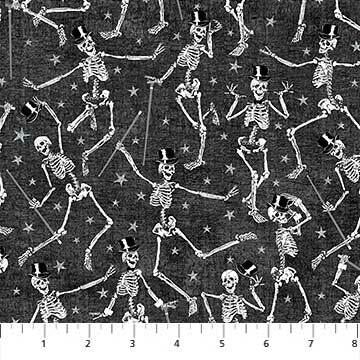 A black background with dancing skeletons and lots of stars. 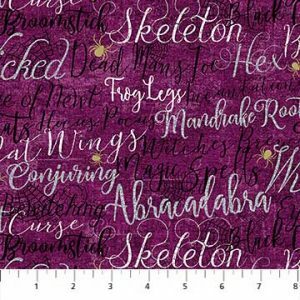 It has a hint of glitter! 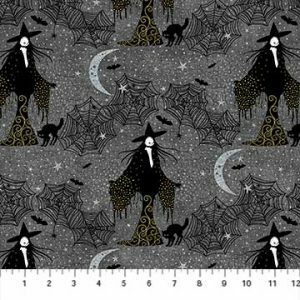 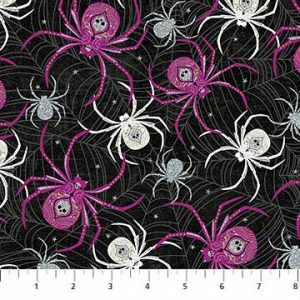 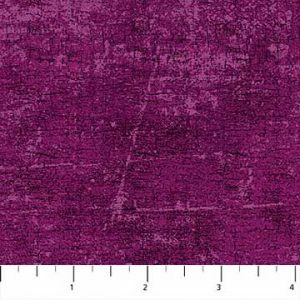 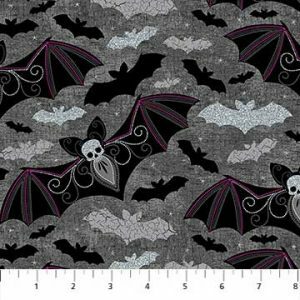 This is from Northcott Fabrics and is 100% cotton and 44″-45″ wide.